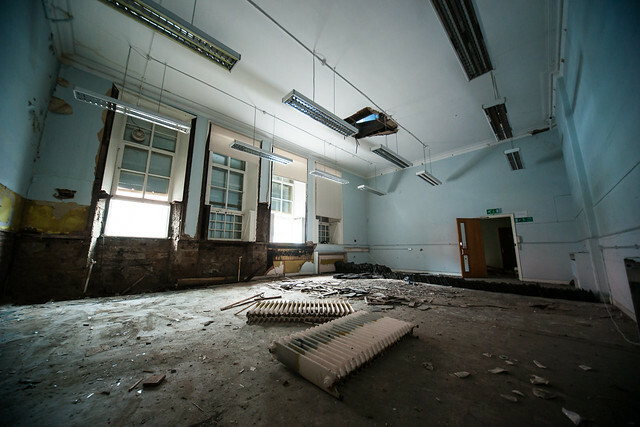 Glasgow is full of derelict old schools like this – a lucky few are redeveloped. 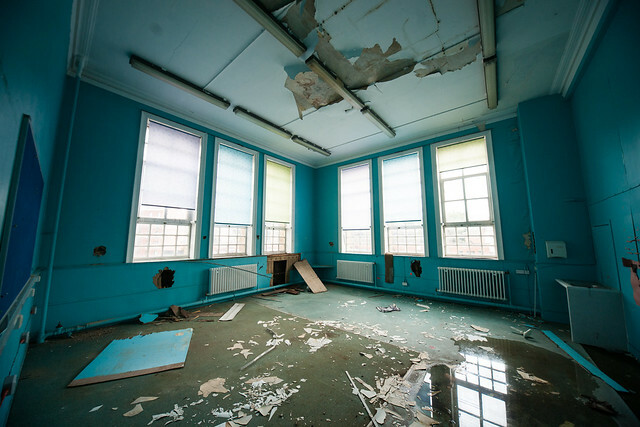 Most, like this one, end up being demolished – this one will become a car park. 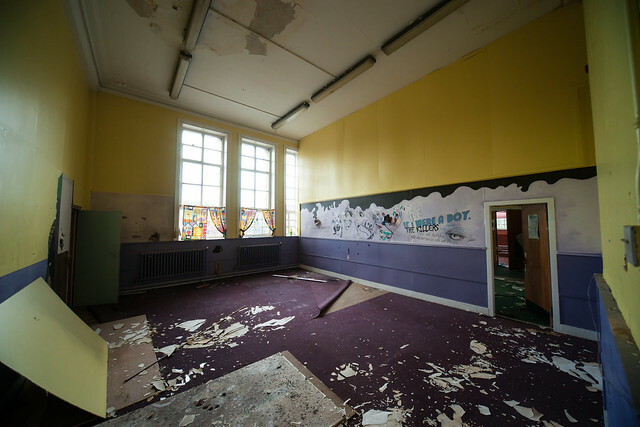 Springbank Public School was built in 1884 on the site of an earlier temporary school building by the Glasgow School Board. 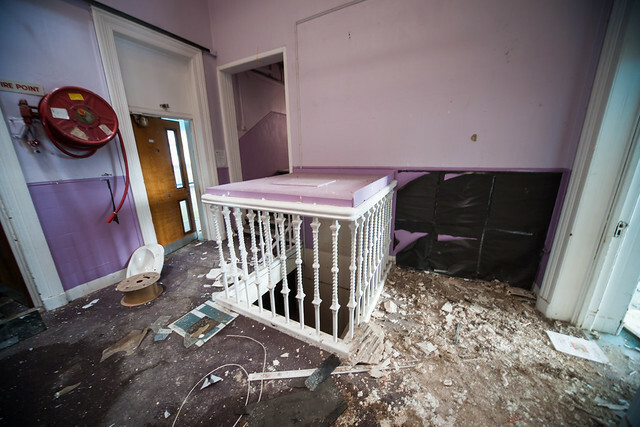 Inside, it’s been divided up, but there are still some lovely original features left. 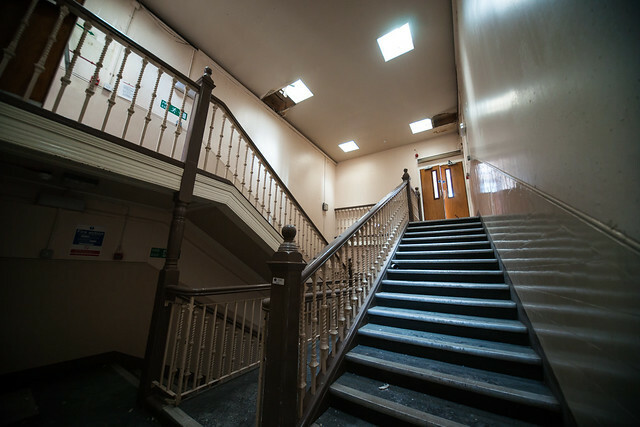 So sad to see my beautiful old school being wantonly destroyed – I despair of Glasgow Council – they never learn , just continue to destroy what we can never replace. Better get GCC (vote SNP) out, B4 there’s nothing left of old Glasgow. Wanton destruction. Makes me V angry. Sell it 4 a quid, save them paying demo coasts & some developer’ll turn it in2 something. I have a unit photograph taken during WWI of ‘RFA 3 Squadron, Springbank School, Glasgow. Can anybody tell me anything about the school during WWI or the unit. Usually RFA units of 67 would be a Battery. 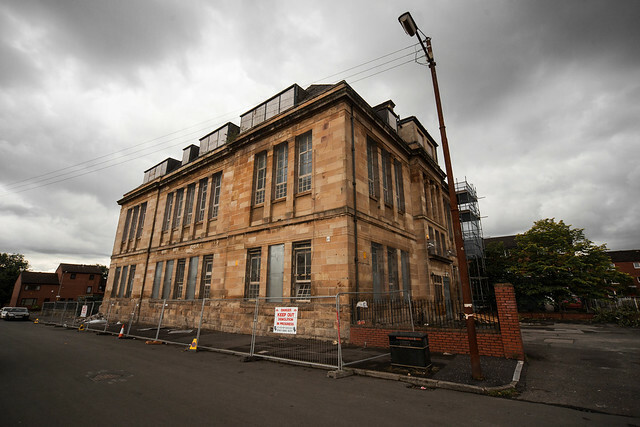 We have a photo of RFA N°1 Squadron Springbank School, Glasgow. We don’t know the connection to our family (in Northumberland) nor why it’s among our family photos. We’d be very grateful if you have any information about the school in WW1. Thank you in advance.